Strawberry season is here! Sweeeeet! 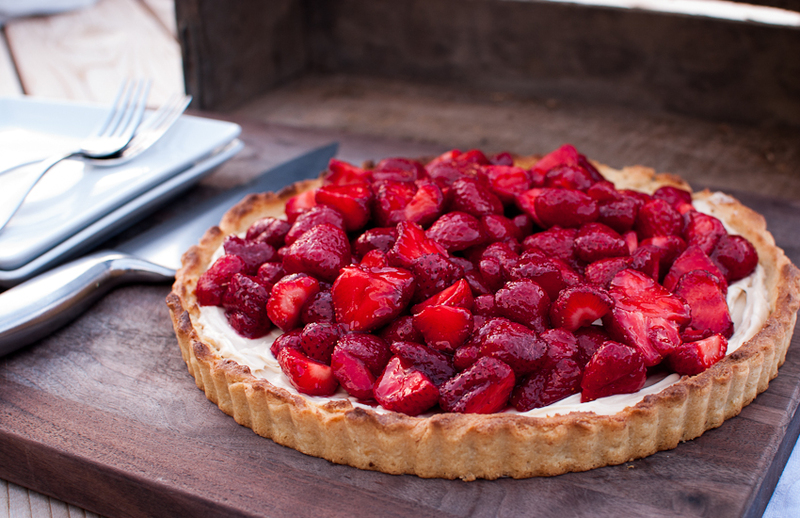 I love local strawberries, love em, love em, love em….jams, tarts, ice cream…oh so many ways with strawberries! My favorite thing to make though is this tart. With a flaky, crispy, buttery tart crust filled with mascarpone cheese then topped with strawberries….oh hello strawberry tart! And if that was not sinful enough, I top it off with a Port reduction glaze….are you drooling yet? Seriously, I make this every year around this time. When the bright juicy red berries make their way to the farmers markets, I grab a half flat and head home with this tart on my mind. It’s sooo gorgeous, and keeps for a few days in the fridge ( if you’re lucky enough to have any leftover)! You don’t need to buy an expensive bottle of port since your reducing this down, and not drinking it, ok well maybe you WILL be drinking and baking ;) I bought a bottle for around 12 bucks, and it has kept in the fridge for about 4-5 months. 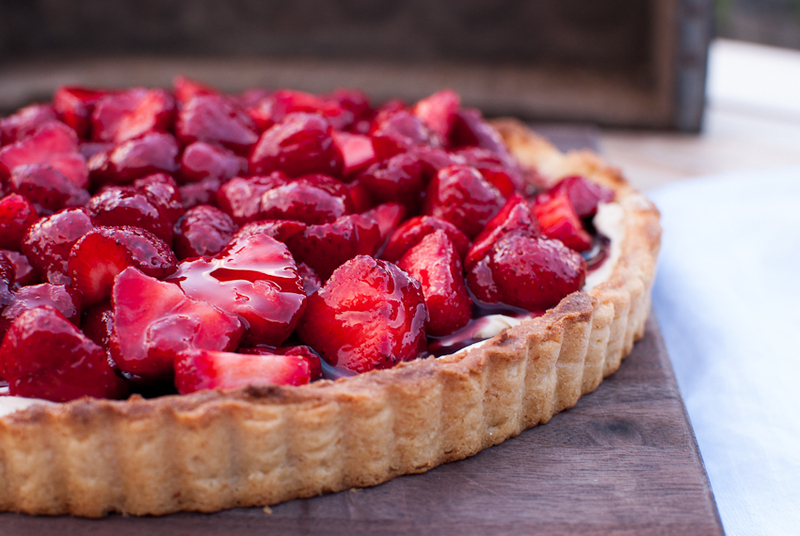 You could easily divide out the tart dough and make little individual tarts too. 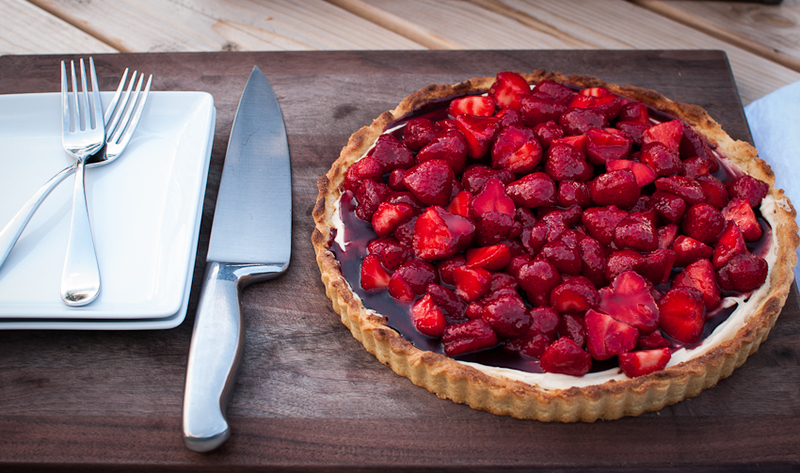 I used a 12 inch round tart pan with a removable bottom and about 4 pints of fresh strawberries. I have made this before with those “big trucked in from somewhere else” berries and it’s not the same! You really should use fresh local berries to get that big juicy flavor. 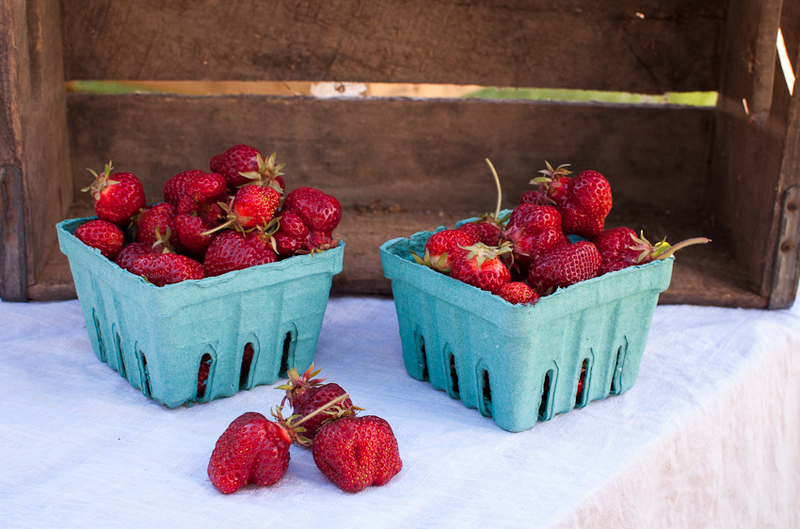 Are you running out the door to your local farmer’s market for strawberries? Hurry before the season ends! 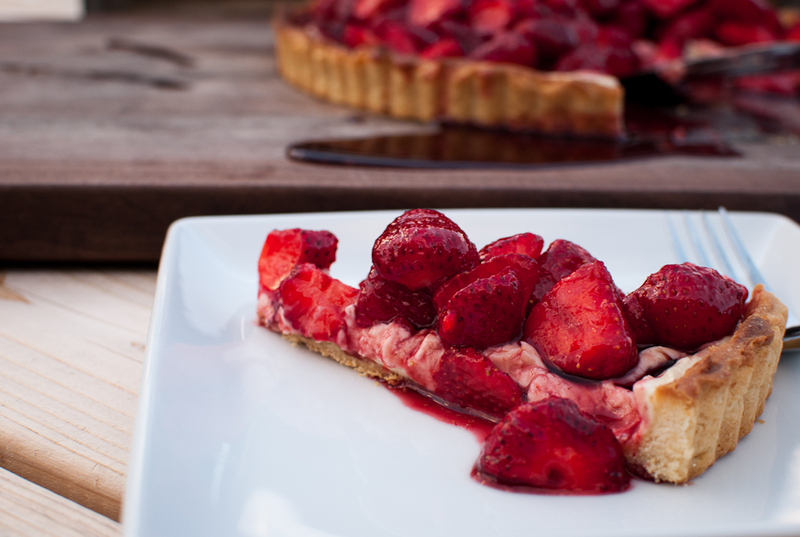 Oh and a little side note- this is really easy and quick to make, don’t be intimidated by the tart…easier than pie! Blend together flour, sugar, salt and butter in the food processor and pulse until mixture resembles small crumbs. Beat together yolk, lemon juice, vanilla and water with a whisk, then drizzle over flour mixture. Pulse until mixture comes together. Gently knead 4-5 times on a floured surface. Press into a disk and place into bottom of tart pan. Gently press dough outward and up sides of tart pan. Prick bottom of shell with a fork. Place in freezer until firm, about 10 minutes. Bake for 20 minutes, if using foil and beans for pie weights, remove them now, then bake for another 20 minutes until golden brown. Cool on wire rack, then remove side of tart pan. 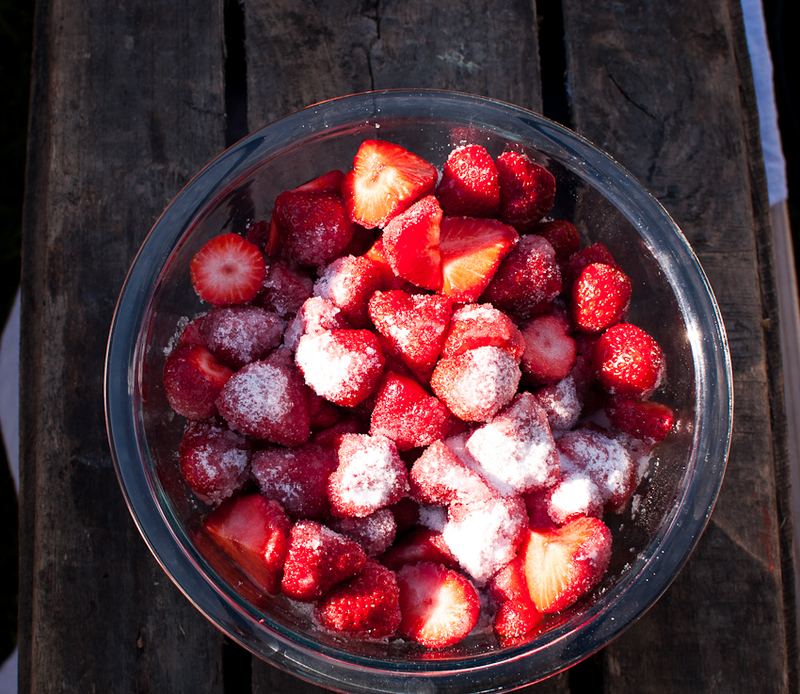 Stir together strawberries and sugar in a bowl, let sit for about 30 minutes, stir occasionally. Strain in a sieve over a small saucepan, reserving berries for the tart. Add port to saucepan and boil until liquid is reduced to about 1/4 C, stirring often. Transfer to a small bowl to cool. Whisk together the mascarpone, powdered sugar, lemon juice, vanilla and a pinch of salt until combined. 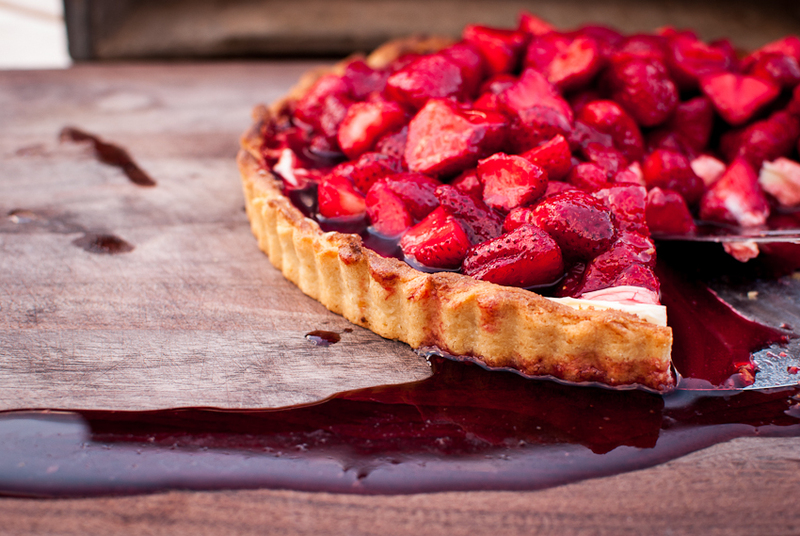 Spread mascarpone into cooled tart shell, top with strawberries, then pour port liquid over berries.